Updated: Go here to get an updated photo tutorial version of this pattern. *Yawn* How have you been? I had a pretty great four weeks visiting my family on the other side of the country. It was nice to see everyone together, including my brother, who hasn’t been to UT in nearly five years, and his girlfriend. We were together for my sister’s wedding, which was lovely and featured many lovely homemade items as centerpieces or decorations. My sister and her friend who helped decorate did a lovely job. Early on we, the bridesmaids, were supposed to be barefoot for the wedding, which was held in a backyard. So, in response to this announcement I designed a new style for my barefoot sandals (pictured), just for the occasion. They’re named after my sister, Kayla. 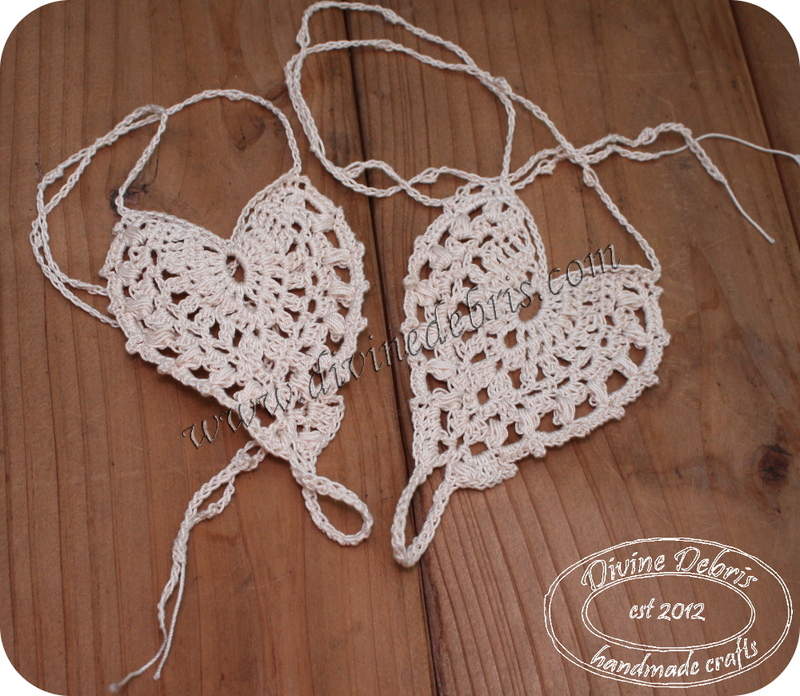 For this project I used a Boye 00 (3.5mm) hook and size 10 crochet thread (Red Heart brand) in Ecru. The rows are worked back and forth, without stitching the ends together. Feel free to use any replacement (as in for the st) for the chs at the beginning. Ch 8, slip st to form a ring. 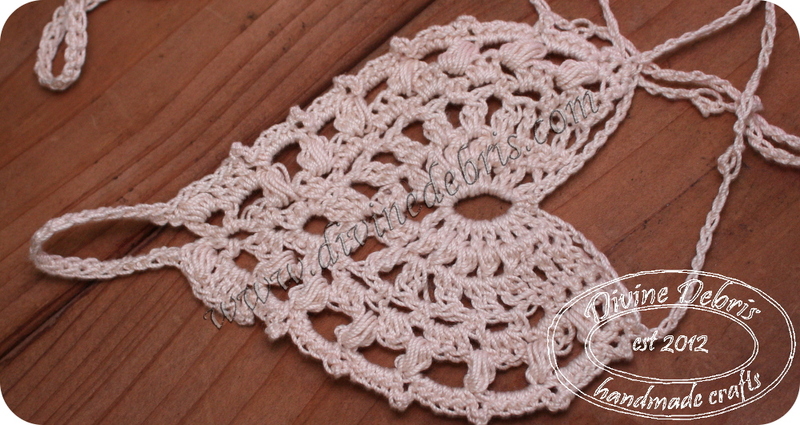 Finishing: For the straps I crocheted a picot after every 10 chs (I think it gives it a bit of personality). Ch 80 (adding the picots if you wish), sc into the second from the beginning sc from row 8, sc into the first sc, ch 10, sc into original ch 8 ring, ch 10, sc into the end sc of row 8, sc into next st, ch 80. Fasten off. I hope you all like the pattern! Let me know, in the comments, if you find any problems. As always, you can find me on Facebook. You can add this pattern to your Ravelry queue here. You can download the pdf pattern here. You can find this post linked to Moogly‘s and My Merry Messy Life‘s Hookin’ on Hump Day. Love those barefoot sandals. Will be adding them to my ravelry queue! Thank you! I hope you like them and post pictures, I’d love to see ’em.